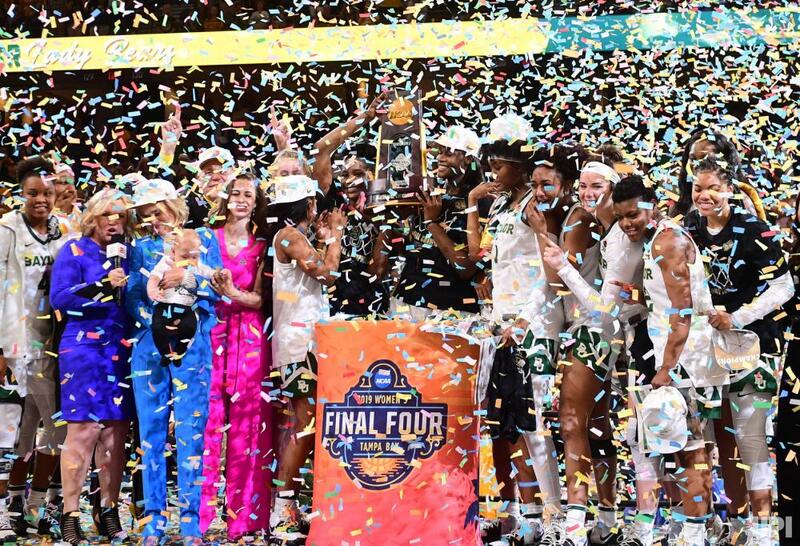 After an eventful three days in Tampa, the Baylor Bears became Division 1 NCAA Women’s Basketball National Champions, defeating Notre Dame 82-81. This is Baylor’s first national championship since 2012 when they won it with current WNBA superstar Brittney Griner. The lady bears were able to rally to a win after their best player, center Lauren Cox, left the game early due to a knee injury. On the first day of the tournament, Baylor defeated Oregon in a close game of 72-67. Oregon had three players score in double figures with Sabrina Ionescu scoring a team high 18 points, Satou Sabally pouring in 16 and Erin Booley scoring 14. That wasn’t enough to keep up with the dominant play of Baylor. Lauren Cox had a strong and balanced game scoring 21 points, 11 rebounds and seven assists, almost racking up a triple-double. Forward Kalani Brown was also very impressive, scoring a team high 22 points and dishing out seven assists. Guard Didi Richards helped her team with a strong 15 points, as Baylor was able to withstand a last-minute comeback from Oregon. Oregon guard Sabrina Ionesco had a standout performance, that many people thought would be her last and that she would be declaring for the WNBA Draft. The second game of the tournament was the University of Notre Dame facing off against the powerhouse UCONN Huskies led by coach Geno Auriemma. These two teams faced off the year before in 2018 and played a historic game with Notre Dame upsetting UCONN in overtime and moving on to win the national championship. This game was another one for the books as Notre Dame defeated UCONN for the second straight year 81-76. Notre Dame had production from everybody, as their whole starting five reached double figures in scoring. Arike Ogunbowale led the Irish with a team high 23 points and 6 rebounds. UCONN had four of their players reach double figures, but simply wasn’t enough down the stretch to take down Notre Dame. Guard Katie Lou Samuelson led the huskies with 20 points and six assists. The National Championship featured the Baylor Bears and the Notre Dame Irish, both of which teams had plenty of experience in winning national titles before. Notre Dame won a national title the year before in 2018 and Baylor won a title in 2012. Baylor started the game off strong and built up a big lead, leading by 19 at one point in the second quarter. Things changed however in the third when their best player, center Lauren Cox went down with a gruesome knee injury. Notre Dame began to come back and was able to tie the game with one minute left. Notre Dame came up just short as Baylor’s Chloe Jackson scored the game winning layup with 3.9 seconds left. Chloe Jackson was the player of the game for Baylor as she scored a team high 26 points and five assists. Notre Dame’s Arike Ogunbowale played a tremendous game scoring 31 points and six rebounds, but it was not enough as Baylor captured their first title since 2012.